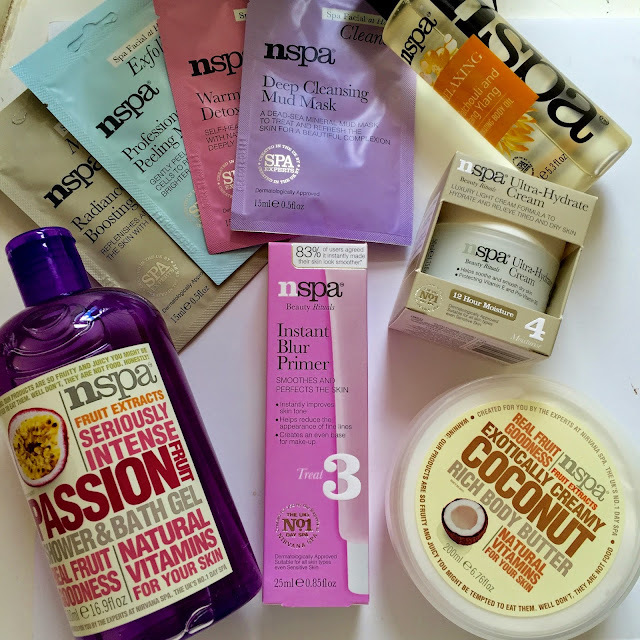 Nspa is a brand I have used a couple of times in the past including the shower and bath gel and body butters but I didn't realise how many products they actually have. I currently have one of the Shower and bath gel's in my bath room and I don't like to use it as I like the colour and it matches however it smells so good I do have a little use now and again. 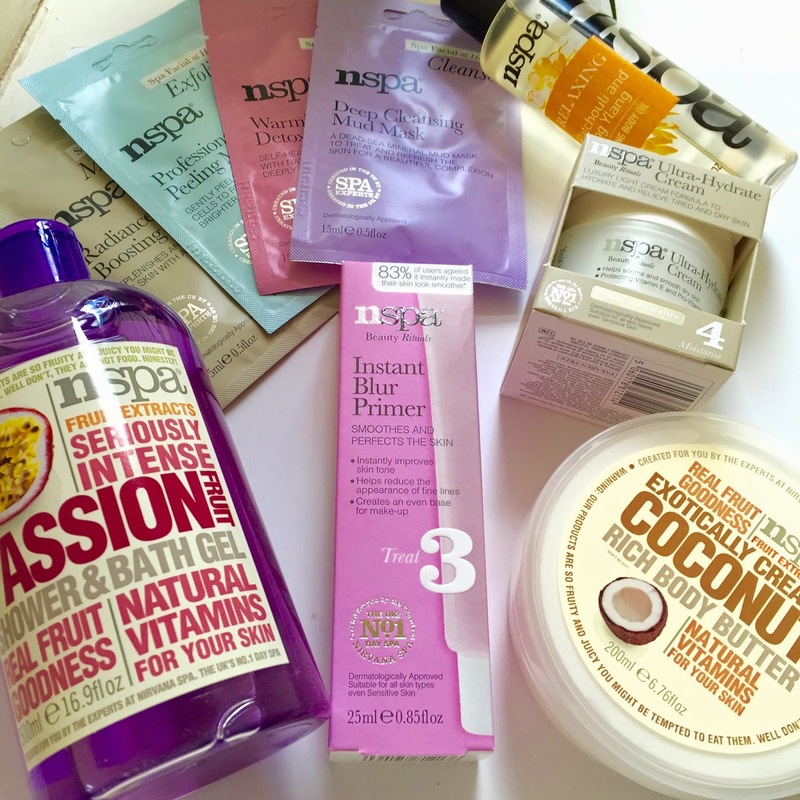 Any way I had the chance to find out more about the range and try more products. I have been using them over the past few weeks and I can honestly say I love them all. I would always say if I didn't really like something so please take my word when I say these products are amazing. They are all really affordable and worth the money too. I was really surprised that one of my favourite products is the coconut body butter, I don't really like coconut scented or flavoured things however, I really like the constancy of this and how it leaves your skin feeling super soft. I also like that you can still smell its scent on your skin the next day ! Im excited to try the different scented body butters once I have used this one up. My other favourite product was the primer. I have been using this under my make up each day and it has been great! It feels smooth on this skin and not greasy or silicone like other products. For the price of £7 who can complain. I would really recommend this brand to any one who doesn't have a huge budget but still like nice smelling and good quality products ! All the products are available in ASDA stores and online. You can find out more information about the products on their website here!